ACOUSTIC EXPO 2013: Carefully constructed in the foothills of the Japanese Alps, Takamine guitars are constructed by dedicated luthiers who create instruments to exacting standards. For over 50 years, they have used a combination of traditional and modern craftsmanship, utilising only the finest, well-seasoned woods and materials to create guitars with great tone, projection and stage presence. Takamine's pioneering work in guitar electronics has made these guitars the choice of real, gigging musicians who need great amplified acoustic tone from an ultra reliable, beautifully crafted instrument. Sweet tone, optimum playability and state-of-the-art onboard electronics make playing Takamine's new Pro Series P1DC cutaway dreadnought a thoroughly rewarding acoustic experience. Click here to read more about the Takamine Pro Series P1DC. Great projection, balance and harmonic richness resound from its X-braced solid spruce top and sapele back and sides. Click here to read more about the Takamine Pro Series P2DC. Takamine's top-line Pro Series P3NC acoustic delivers the finest in Takamine acoustic sound, style and performance from a classic Takamine NEX/grand auditorium style body with a comfortable Venetian cutaway, elegant appointments, smooth playability and state-of-the-art onboard electronics. Click here to read more about the Takamine Pro Series P3NC. 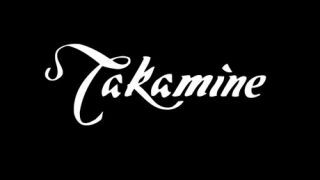 For more information, visit the official Takamine website, or connect with them on Twitter, Facebook and YouTube.